Vladivostok was founded on July 2, 1860 as a military port on picturesque hills with a view on the Golden Horn Bay. The city had the status of the military fortification just for two years, and then - in 1862 - it was renamed into port. In order to attract international freights and to increase foreign trade volumes, the Porto Franco regime was introduced here. This led to port's active development and swift growth of its population. In the year 1880 Vladivostok was officially proclaimed a town. Afterwards, administrative, industrial and dwelling buildings were constructed, foreign trade volumes grew, population increased substantially - the city acquired economic and strategic importance for the country. By the early 20th century, Vladivostok became not only the country's largest Far Eastern port and naval base, but also an important trade, industrial and cultural center of the Russian Far East. 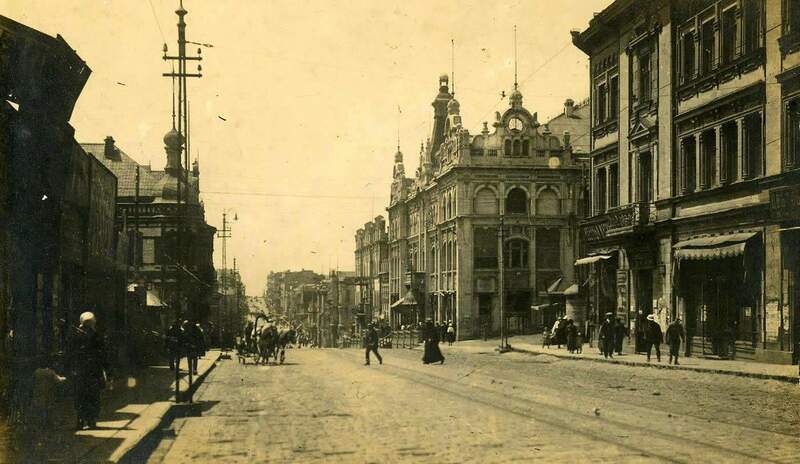 The first serious disturbances reached the city during the revolution of 1917 and the events that followed it. After the war, Vladivostok was significantly weakened. The fact that for almost 30 years it bore the status of closed town had negative influence on its economic development. Since 1992 - the collapse of the USSR and the formation of the Russian Federation - Vladivostok was re-opened for international relations. Over time, the capital of Primorye has been renovated and is becoming ever more beautiful. The city stands on the threshold of a new life, where two unique cable-braced bridges – across the Golden Horn Bay and to Russky Island – lead. They were built along with other infrastructure facilities for the summit of the Asia-Pacific Region in September 2012. Nowadays Vladivostok is the capital of the Primorsky region, an industrial, transportation, scientific and cultural center, the largest port on the Pacific coast of Russia and is one of the largest cities of the Russian Far East. Its population is about 700, 000 people. The favorable location of Vladivostok makes it the «gateway of Russia to the Asian Pacific Region countries» with its large transportation hub of international sea routes and airlines. China, the Republic of Korea, and Japan are nearby, much nearer than even Lake Baikal in eastern Siberia. Moscow is a full nine hours away by air. Nevertheless, Vladivostok remains distinctly Russian. In the years between its founding in 1860, and the closing of the city to foreigners in 1958 (until 1991), Vladivostok was a fairly international city with a tradition of being open to international influences and looking beyond its borders. The nationalities of Vladivostok and Primorye residents at the beginnings of the region’s history are extremely varied. The region was populated by resettlement from different parts of the Russian Empire: Ukraine, Moldova, the Baltic States, Poland, and Finland. Citizens from many foreign countries actively participated in developing the area, which led to a group of citizens with a patchwork of religious beliefs and cultures. Vladivostok’s nature is absolutely unique and cannot be found in any other part of the word. Incredibly beautiful sea views, blue-and-emerald bays, mysterious hills and ridges, and several islands, where one can find nooks of virgin nature untouched by civilization. It is no wonder that Vladivostok is called a solid observation platform: there are the breathtaking panoramas opening from the height of the hills that constitute the main attraction of Primorsky Region’s capital. In addition, the sea offers fabulous views of the city, as if soaring out of the water, hundreds of colorful houses clinging to the slopes of the hills, the knolls silhouetted in the light morning mist – all these seem drawn rather than real.